The fifth session of the Fonia Radioshow from October 5th, 2012. 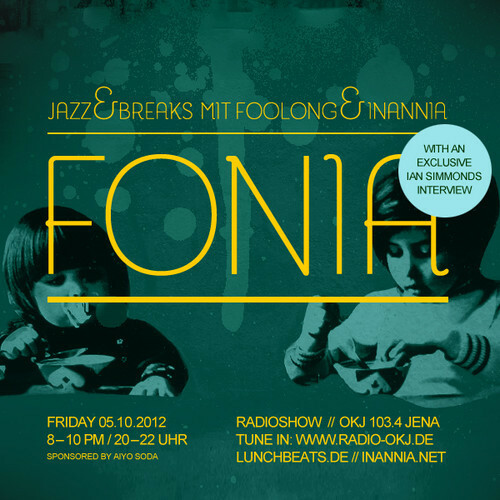 2 hours of wild genre hopping between breaks, jazz and much more with inannia and foolong (vinyl only). AND as a first in our radio show, an interview with Ian Simmonds.